There would be a sharp decline in the speed and efficiency of patient care without the contributions of Certified Nursing Assistants. Through their commitment and skill, CNAs improve the lives of the patients and residents in hospitals and nursing homes. They work under the direction of licensed nurses who understand the value of the services they play in the delivery of patient care. Managing the daily needs of patients, answering call lights, cleaning rooms, positioning and turning patients, wound care, observation and monitoring, and assisting with mobility, CNAs grant nurses the freedom to perform other vital acts related to the development, implementation, and evaluation of patient care plans. 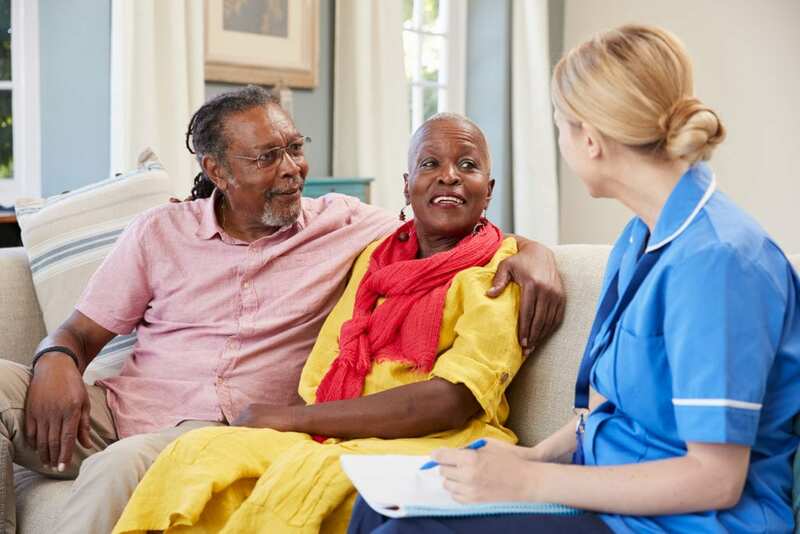 CNAs work closely with patients, spending more time with them than other healthcare providers, so they are better prepared to spot adverse changes in the patients’ health. Persons interested in the profession must complete Washington State approved training to practice in licensed long-term care facilities. Graduates of approved Nursing Assistant Certificate program will have CPR and HIV/AIDS certification and will be eligible to sit for the Nurse Aide Competency Exam to be listed on the Washington State Registry. Nursing Assistant Certificate training at ProCare Academy is the first step toward a career in the fast-paced world of health. Through theory and practical instruction, students will be prepared for boundless opportunities in home care, retirement communities, assisted living facilities, rehabilitation centers, hospitals, and clinics. Instructors will provide a supportive learning environment in the classroom, simulation lab, and clinical site to aid students in the development of basic nursing skills. The emphasis of the program is patient-centered care and safety. The program meets both Washington State and OBRA requirements for training, so graduates will be eligible to apply for the Nurse Aide Competency Exam to become Certified Nursing Assistants. Courses will include geriatric care, basic pediatric care, body structure and function, vital signs, infection control, the role and responsibilities of a nurse aide, and law and ethics. It will also include the required 7 hours of HIV training mandated by the State Board and 4 hours of Healthcare Provider CPR instruction. The training will be completed in less than one month. Day, evening, and weekend schedules are available. The evening class meets Monday through Friday from 5:00 pm to 9:30 pm. The day class meets Monday through Friday from 8:00 am to 3:00 pm. All schedules include 70 hours of classroom lectures and hands-on lab and 50 hours of clinical rotations in a skilled nursing facility. Tuition costs $625. Additional expenses include textbook and workbook, gait belt, scrub top, and TB test. The Nursing Assistant Program at Pierce College is targeted to students considering a career in healthcare. The program covers the experiences of the caregiver in 12 credits. It includes basic instruction in the skills needed to assist residents with the activities of daily living, such as toileting, feeding, bathing, dressing, catheter care, and other assistive measures. Areas of study include basic personal care skills, mental health and social service including the psychosocial needs of the residents, caring for the cognitively impaired, basic restorative services, maintaining and respecting residents rights and independence, communicating effectively with patients and members of the healthcare team, infection control including the precautions required to prevent the spread of microorganisms, safety and emergency procedures, and rules and regulations that affect nursing assistant practice. Classes meet four days a week in the classroom from 8:00 am to 3:00 for the initial five weeks. Following this training, students will spend the final 3 to 4 weeks at the clinical site. The clinical schedule is from 7:00 am to 3:00 pm. Reliable transportation to the clinical site is essential. Students can further develop their skills by utilizing open labs in the evening. Graduates will have the knowledge and skills to pass the state exam. Each class is limited to 10 students. A waiting list is available, by request only, for those who are not selected to the program. Tuition for the program is $1,500. The Nursing Assistant Certificate Program at Clover Park Technical College prepares students to care for residents under the direction of a registered nurse or other licensed health professional. The curriculum introduces students to the role of the nursing assistant and the development of basic nursing skills. It includes theory that fills the requirements for Nursing Assistant Training as outlined by the Washington State and Omnibus Budget Reconciliation Act (OBRA). Students must complete 148 hours of training: 58 hours of theory, 48 hours of nursing skills, and 50 hours of clinical experience in a long-term care facility. The theory includes HIV/AIDS training and CPR. Mandatory attendance is required for the lab and clinical activities. The entire course covers 9 technical credits. Graduates will be eligible to take the National Nurse Aide Assessment Program Exam (NNAAP) for state licensure. Licensure requires a criminal background check, passage of the NNAAP, and other eligibility requirements. Use the contact information below for a current schedule and tuition. Blossom Health Care LLC trains nursing assistant students to provide competent care to residents in nursing homes, assisted living facilities, and other healthcare facilities. The 3-week program includes classroom theory, hands-on lab, and clinical activities in a long-term care facility. Course topics include nutrition, anatomy and physiology, basic patient care, infection control, activities of daily living, and the role and responsibility of the nurse aide. Other essential areas include good body mechanics, residents’ rights, basic restorative care, communication and interpersonal skills, personal skills, legal issues, and understanding long-term care. It also includes CPR and HIV training. Students must have good attendance, obtain a score of 80% or higher, and have total class participate to complete the program. Tardiness and absenteeism could result in dismissal from the program. Day and weekend schedules are available. The day class meets for three weeks and the weekend class meets for four weekends. Graduates will be prepared to pass the NNAAP written and skills exam. Be able to lift at least 50 lbs. The program cost is $775 and includes tuition, CPR training, book, HIV certification, and administrative fees. Additional costs for TB test, background check, state exam, nursing supplies, and scrubs must be covered by the student. Students who successfully complete the CNA program at Divine CNA Training will be eligible to take the State/OBRA test. The curriculum includes 38 hours of classroom lectures, 40 hours of clinical experience, 7 hours of HIV/AIDS training, and 3 hours of CPR certification. Students will learn how to apply infection control practices, meet the personal care needs of patients, maintain patient confidentiality, recognize signs of abuse, use safe alternatives to restraints, demonstrate patient-centered care, use medical terms and abbreviations, use proper body mechanics, perform vital signs, function with the nurse aide scope of practice, use techniques to manage pain, promote good dietary health, and communicate effectively with staff. Morning and evening classes are available. Morning classes meet Monday through Thursday from 8:00 am to 2:30 pm in the classroom for 2 weeks. The clinical rotation commences on the third week and meets Monday through Friday from 6:00 am to 2:30 pm. Evening classes meet Monday through Thursday from 4:00 pm to 10:30 pm for the first two weeks. The clinical begins on the third week and meets Monday through Friday from 2:00 pm to 10:30 pm. Weekend classes meet on Saturdays and Sundays from 8:00 am to 2:30 pm for 6 weeks. Tuition for the program costs $575. There is a registration fee of $50. Students must make a deposit of $300 at the time of registration. Other expenses not included in the program total are gait belt, navy blue scrub, closed toe shoes, and TB testing. Priority Instructional Center prepares adults the Washington State Certification Examination to become Certified Nursing Assistants. The program exceeds the state required minimum at 35 hours of classroom lecture and 50 hours of clinical activities in a long-term care facility. Students must maintain a minimum grade of 70% to graduate from the program. Day and evening schedules are available. The duration is 3 to 4 weeks depending on the schedule. Graduates will receive a Certificate of Completion, BLS training card, and 7-hour HIV/AIDS training certificate. Tuition costs $675. There is a registration fee of $15. Other costs include textbook, uniform, and supplies. There is a textbook loan program – a deposit of $40 is required and will be refunded after the return of the textbook. Job placement assistance is available to all graduates. Students who complete the Certified Nursing Assistant course at Health Professionals Institute will receive CPR/First Aid certificate, CNA designation, mental health and specialty recognition, HIV/AID training certificate, and safety orientation certificates. The program delivers 118 hours of classroom lectures and clinical activities in just 3 weeks. The distribution of hours is as follows: 46 classroom hours, 16 lab hours, and 56 clinical hours. Classes meet Monday through Friday from 8:00 am to 4:30 pm or 2:00 pm to 10:30 pm. The total cost of the program is $787 and includes registration fee, tuition, book, background check, and entrance exam. Short-term and long-term financing is available for students. Job placement assistance through the affiliate company Dependable Staffing Agency.